You might’ve noticed a resurgence in popularity of the Harry Potter book series in the wake of the 2016 presidential election. 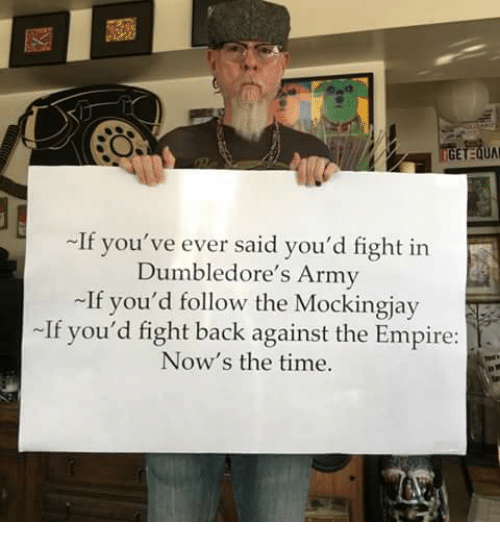 It is no coincidence that young millennials who had their feelings hurt by Donald Trump becoming president have chosen these books, since many have compared The Donald to the villain of the series, Lord Voldemort. I suspect that this comparison was made deliberately with the intent to boost interest in the series in the public eye. But Donald Trump expressed a sexual desire for a woman eleven years ago! That’s way worse than mass murder, you guys. Because in the loony world of social justice, even suggesting that you want to touch a woman is worse than murder. But then, Harry Potter and Lord Voldemort are not real; they are fictional characters. Sure, some might be so enamored with Rowling’s writing that they think of her characters as real in their hearts, but that doesn’t change the fact that the Harry Potter series is a work of fiction. None of it actually happened. Those pictures you see across social media of Voldemort are actually actor Ralph Fiennes with a CGI mask. Your waifu isn’t real, and neither is Lord Voldemort. The Ministry has fallen. Obamadore has left Hogwarts. Bellatrix Conway shrieks lies. Elizabeth McGonnowarren is holding back the Dementors. This fact hasn’t stopped others across Twitter from comparing the presidential election with the events of the Harry Potter book. These comparisons keep knowledge of the series in the minds of the general public, many of whom have decided to go back and reread the books. Consider that, at this time of writing, the first book in the Harry Potter series is the eight bestselling book in the entire Kindle store, and all but one of the books is within the Amazon Kindle Top 100. I’d say that comparing Voldemort to Donald Trump has had a strong effect on sales. I would even go as far as to suggest that maybe, just maybe J. K. Rowling knew that comparing Donald Trump to the villain of her book series would have such an effect on her book sales. I mean, why else would you make a reference to your own book series like that unless you wanted to promote it? With the recent additions to the franchise by Hollywood and Broadway, now is the perfect time to reintroduce the original series to the limelight. Look, I’m not against authors promoting their books on social media. One of the main reasons for writers to have a presence on these sites is for promotion. I just think that spreading fear mongering about Donald Trump is a really slimy way of promoting your products. Plenty of people are delusional enough to believe that Donald Trump is literally Adolf Hitler; we don’t need them thinking that he’s really an evil wizard who’s going to start a Muggle genocide. For that matter, there are better books you could be reading besides the Harry Potter series. A story that much more fitting story for our current age is A Princess of Mars by Edgar Rice Burroughs, which you can download and read for free off of Project Gutenberg. This was the book that inspired Terrence W. Wilcutt to join NASA and go on four space shuttle missions. 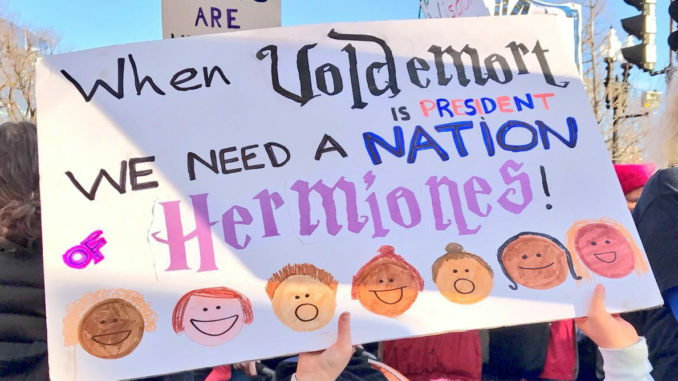 Harry Potter, on the other hand, inspired our youth to march through the streets in protest because the president of the United States hurt their feelings. The generation that read Princess of Mars took us into outer space, while many from the Harry Potter generation went on to join Social Justice Warrior movement on Twitter. If this keeps up, the Harry Potter Social Justice Wizards will dethrone Steven Universe as the worst subculture on the internet. I see this more a symptom of cultural shrinking than an attempt at promotion (beyond the fact that authors like to talk about their works, of course.) Wouldn’t shock me if Rowlings herself is a bit surprised by the popularity that tweet garnered and by all those ADULTS using Harry Potter as their main political analogy. If that was her only attempt at linking her work to Donald Trump, then it probably was just a casual commentary. And yeah, a whole generation whose source of inspiration is Harry Potter can’t possibly be a good thing.